Is the Canon PowerShot SX420 Tight for You? The digital camera marketplace continues to see smartphone cameras erode the low-end, point-and-shoot portion of the market. There isn't enough difference between a smartphone camera and a basic model to entice people to carry both units. 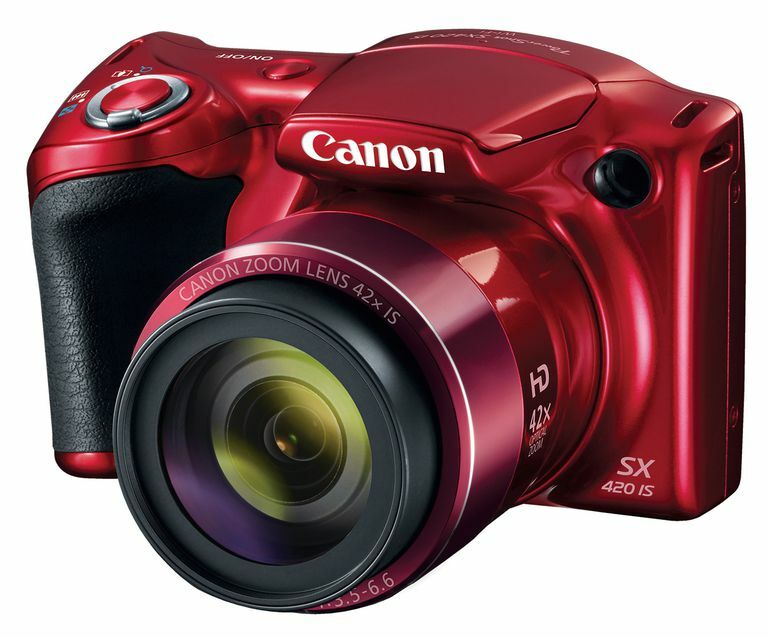 That's where the Canon PowerShot SX420 sets itself apart in the market by making use of a large optical zoom lens. The Canon SX420 has a 42X optical zoom lens, which smartphone cameras cannot match. You'll have to decide whether carrying this large camera is something you want to do to gain the benefit of the large zoom lens, but you will be impressed with the types of photos you can shoot because of the large optical zoom this camera provides. Outside of its optical zoom lens, the PowerShot SX420 has many features that will remind you of other point-and-shoot cameras. The SX420's image quality is good with adequate lighting and below-average in low light. It is easy to use with almost no manual controls, meaning it works best as an automatic camera, and it carries a reasonable price that makes it a tempting option. As with most basic cameras, the image quality for the PowerShot SX420 is adequate when the lighting is good, but the SX420 struggles to create great looking images in low-light conditions, just as you'd expect with a camera that has a 1/2.3-inch image sensor. Canon gave the SX420 a resolution of 20 megapixels, which is a desirable level of resolution in the digital camera market currently. Still, the small 1/2.3-inch image sensor limits the effectiveness of the 20-megapixel resolution. You cannot shoot in the RAW image format with this camera, which is common with cameras in this price range and with 1/2.3-inch image sensors. You have access to numerous special effect shooting modes that can help you create some interesting looking images. The special effects make the SX420 fun to use. The PowerShot SX420 is limited to 720p HD video recording, which is uncommon in today's digital camera market, where most models can record 1080p HD video or 4K video. Burst mode is about two frames per second with this model, which doesn't make it a good option for action photos. Canon gave the SX420 an easy-to-use Wi-Fi option, which is a good feature to find in a camera in this price range. Don't expect to find much in the way of manual control features with this model. Canon chose not to include a mode dial with the SX420, as it's designed to be used as an automatic control button. You can make minor changes to the camera's settings by pressing the Func/Set button on the back of the camera or through the camera's menus, but these are basic options. The 42X optical zoom lens is among the biggest you'll find on ultra-zoom cameras, so Canon has created a desirable model here. Canon also included an effective image stabilization feature with the SX420, which makes it possible to hand-hold the camera and still record sharp images that don't suffer from blur from camera shake, as long as the lighting in the scene is good. Low-light images are almost impossible to record while hand-holding the camera, even with the strong IS system. Surprisingly, the Canon SX420 weighs only about 11.5 ounces, even with a battery and memory card installed. It's one of the lightest large-zoom cameras on the market in terms of weight. It's still a large camera body, similar to other large-zoom cameras, as the lens extends more than 8 inches from the camera body at the full optical zoom setting. One design aspect that plagues a lot of point-and-shoot Canon cameras is control buttons on the back of the camera that are too small and too tightly set to the camera body to be used comfortably. The PowerShot SX420 also suffers from this problem. However, because you'll be using this model in automatic mode, you may not need to use these buttons often. It's a little disappointing that Canon didn't give the SX420 a touch-screen LCD because it would have simplified the operation of the camera. Touch screens are great for beginning photographers and for entry-level cameras, but Canon chose to keep the starting price of the SX420 low by not including the touchscreen. Still, there are plenty of easy-to-use features with this camera, so you'll have no problem picking it up and using it successfully on the first try.